It's tough to recover from a PR gaffe. Even tougher: when it's the biggest PR gaffe of 2011, a customer service firestorm that set the Internet into Complete And Utter Outrage Mode late last year. But David Kotkin, who took a ride on the rollercoaster of Internet infamy along with outspoken marketer Paul Christoforo last December, says not only has he managed to bounce back from the gaffe, his company is as strong as it's ever been. And Kotkin is happy to have nothing to do with Christoforo or his company, Ocean Marketing. Controller Company Berates Customer, Then Penny Arcade. Bring Popcorn. "We are glad Ocean Marketing is history," Kotkin said in an e-mail to Kotaku. "Sales... have never been better." Kotkin is the founder of N-Control, a company that makes an accessory for the Xbox 360 called the Avenger controller. It's designed to "enhance gamers' reaction time and situational awareness." It's also been rather helpful for some gamers with disabilities. Kotkin is also on the verge of releasing a new model of his controller, called the Avenger Elite. It goes on sale May 12, and Kotkin says it's "more proficient and durable than ever before." His company seems to be doing well. But in December, Kotkin and his controller made headlines, and not the good kind. His former PR representative, a man by the name of Paul Christoforo from a company called Ocean Marketing, said some nasty things to a customer, who then passed those words along to a number of prominent outlets (including Kotaku). When Penny Arcade's Mike Krahulik posted the whole exchange online, the gaming industry exploded. Angry gamers took to Reddit, Twitter, and other Internet hangouts to condemn the Avenger and anything connected to it. They bombed the controller with negative reviews and delighted in watching Christoforo's colorful online behavior. A side-by-side comparison of a standard Xbox 360 controller and the Avenger Elite accessory. Kotkin immediately condemned Ocean Marketing and even donated $10,000 to charity, but the damage had been done. 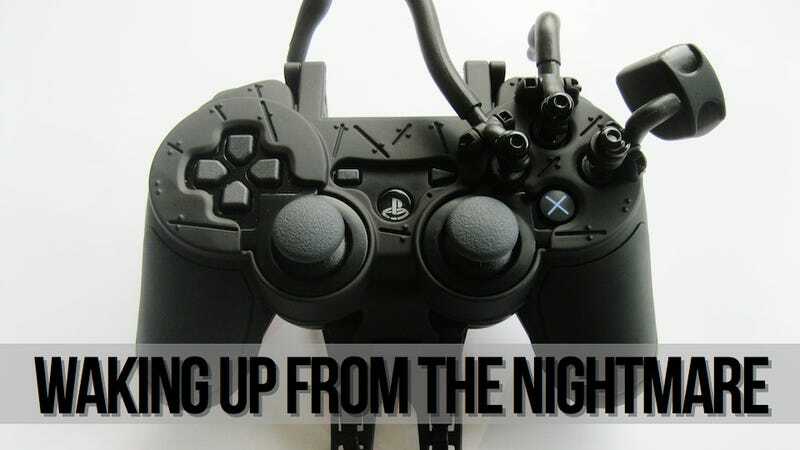 Whenever people thought of Avenger controllers, they'd now think about customer harassment. It seems like an incident that might be difficult to recover from. But Kotkin says that's just what he did. "The Ocean Marketing debacle ONLY destroyed Ocean Marketing," he said in an e-mail to Kotaku. "We are still appalled how they managed our account and treated our customers... as we had no idea until they were fortunately exposed." Kotkin says the company's marketing is "spread through headsets on online play," which helped them continue to sell Avenger controllers even despite his newfound poor reputation on the Internet. He says they've made their controllers lighter and easier to use. And he says sales have never been better. "If our main source of income was through traditional marketing we would have been in much tougher spot," he said. "We plan to take advantage of this open market and place the Avenger in every store in the country. With that in mind, the taste of a little saltwater from Ocean Marketing is easy to spit out. "I have not let the sea storm of Ocean Marketing sink my ship."